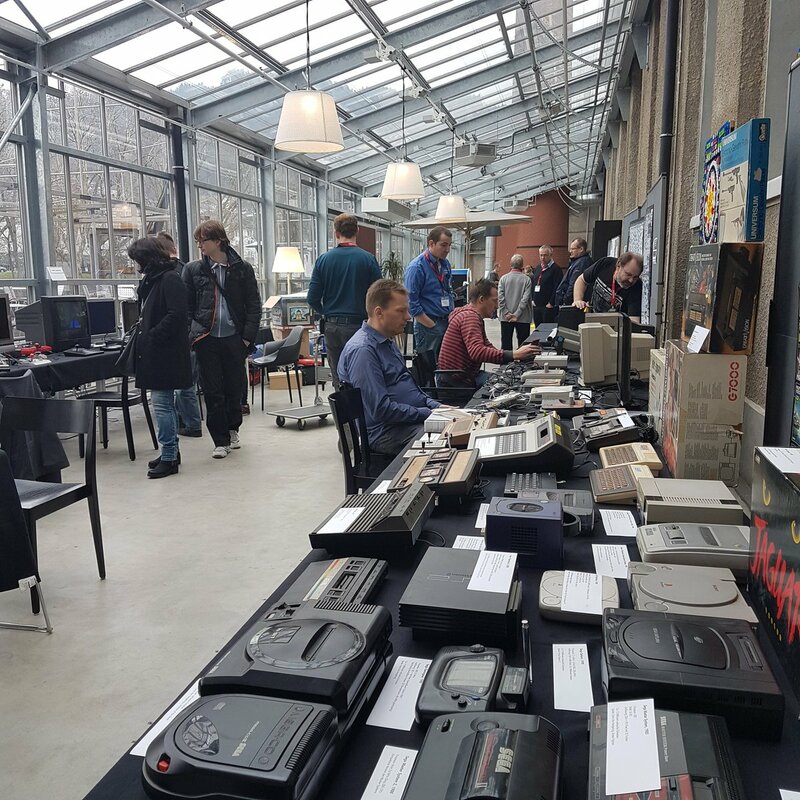 Last weekend I was inspired in both a nostalgic and forward-looking way by the Vintage Computer Festival Europe in Thun, where my family and I got to be informed and entertained by a large assortment of retro computers. While previous events were notoriously spectacular and crowded, it was nice to take part in the relaxed atmosphere of a Sunday brunch in the Berner Oberland. What was great was not just seeing these machines in delightful working order, but in a "living museum" kind of way, being allowed to (under supervision & helpful assistance) touch and play with all these wonderful components of bygone days, lovingly maintained by members of several Swiss associations devoted to preserving computing history. Programming Apple II BASIC for the first time in decades, attempting to slash my way around CP/M on an original Osborne 1, exploring a filesystem again with Norton Commander on a black-and-orange early IBM PC, playing ancient classics like Paratrooper and Vectrex, being blown away by the fine work (it's true!) of hand-made magnetic-core memory..
Needless to say, there were LOADs of fun to be had.. 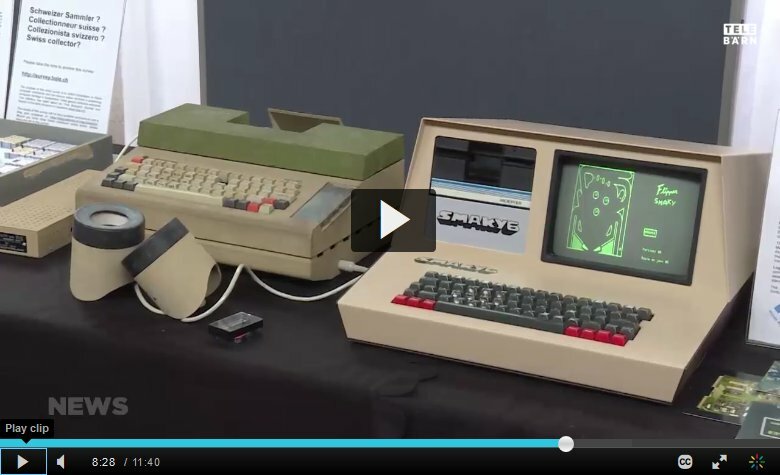 The Museum of Communications in Bern also has a must-see permanent exhibit dedicated to the history of computing. In case you're wondering, this isn't just a "niche thing" any more. Mobile phones and handheld computers from the early 2000s can inspire fond memories and critical thoughts in the minds of every adult, and this kind of event should be more prominent in years to come. At least to help us remember that nothing is permanent, and our worries of today..
..may seem like fool's errands in hindsight. Thanks to unlock for spreading word through the Echtzeit Digitale Kultur channels. And for anyone who does not want to wait until next year's Festival, we are planning another evening of retro multimedia art, so stay tuned!